Smooth clean lines and deep rich color, trademarks of Gemstone Glass, are evident in this refined modern, yet traditional blown glass perfume bottle. Glass stopper/applicator reaches to the bottom of the vessel and the inside of the neck is ground for a good seal. 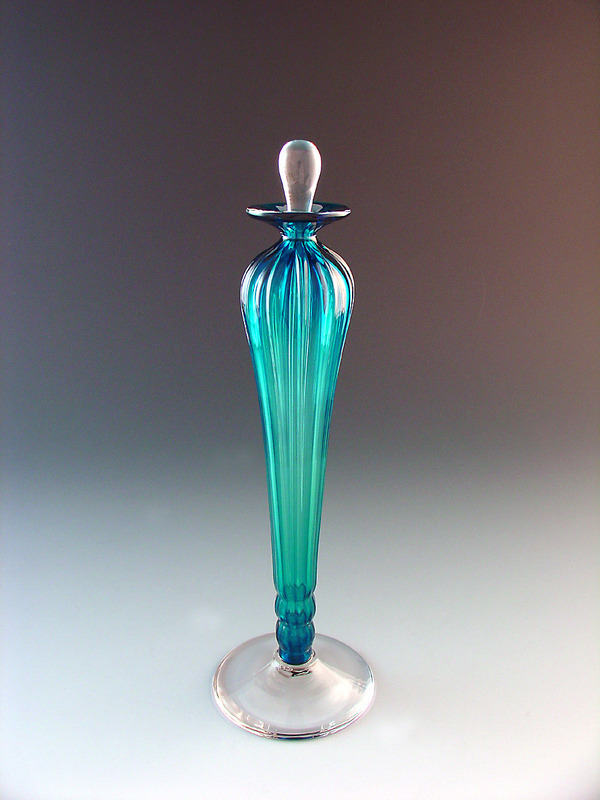 Great for Perfume bottle collector or user. Excellent special occasion gift. Measures 2.0" Dia x 12.0" H. OOAK. Signed.